The Motiv Hydra bowling ball is designed for high friction house shots and rev heavy bowlers as well as tournament players who need a performance ball for drier lane conditions. The beast of a bowling ball can strike from deep in the lane as well as generate more entry angles. This is all accomplished through the combination of clean and angular Hexion LFP Reactive coverstock and the high RG/low differential Halogen core. This pairing produces easy length with head turning backend motion. The 5000 Grit LSP finish on the Hydra helps it read the lane more effectively and produces better predictability on the backend. Similar Balls: Same Hook Potential, Lane Conditions & Coverstock as the Motiv Hydra. I have mine drilled pin down I was practicing withing Monday the first game I shot 220 I moved my feet a couple of boards i was probably around 30 with my feet amd i was getting the ball put to about the 5 board the second game and I shot 300. I have my hydra drilled pin down I went 220 the first game with it notice it has alot of backend on it and I moved left with my feet about 3 maybe 4 boards. I was standing about 28 and I was getting out to the 5 board I shot 300 the second game. It will react differently on medium oiled lanes. It might react sooner on medium oiled lanes. How is this ball for two handed bowlers with high revs on dry lanes? This ball would be excellent for a two handed bowler on dry lanes! I like to either play on the outside line either 8 or 11 board and will the motive Hydra work on this line? I use the venom Shock pearl now. Pin above fingers and bridge. On medium lanes this ball hooks way to much. Polished it and created a little more length but still hooks way too much. Will the Hydra drilled with same layout give me the length I’m looking for? I’m wanting to play outside of 8 board little swing or straight down up the boards. Yes, it will definitely give you the length that you are looking for! Would the Motive Hydra differ from a Hy Road Peral if I drill it the same? Yes, it will differ because the lane conditions are different. Is the Hydra like the blue radical ridiculous? The Radical Ridiculous Pearl will actually be more aggressive than the Hydra. How does the Hydra compare to the Shadow Ops by 900 Global on light to medium oil lane conditions? They will both be pretty similar on the reaction. The only difference will be the finish on the bowling balls. The Hydra will have more length than the Shadow Ops. will this be much different than the primal rage ? 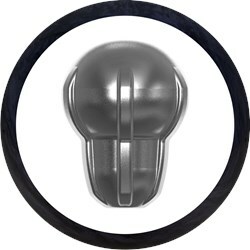 This ball is going to be more suited for lighter oil conditions. The Primal Rage is better in medium and heavier oil and would be more aggressive than this ball. I have the Motiv Venom Cobra. 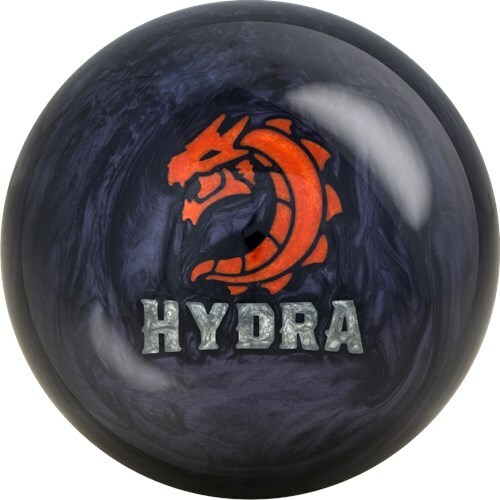 Will the Hydra be a good compliment ball? 3/4/2019 - By Arfield, S.C. It should be a great compliment. This will be a great ball for when the lanes start to break down for this ball best performs on light oil conditions. This will have a medium hook for it is a mid performance ball. Due to the time it takes to produce the Motiv Hydra ball it will ship in immediately. We cannot ship this ball outside the United States.